"Kapono is one of the great island songwriters of his generation." Known as “Kapono”, the Hawaiian word for righteous, Henry is pure Hawaiian, born and raised in Kapahulu, a small town just outside Waikiki. 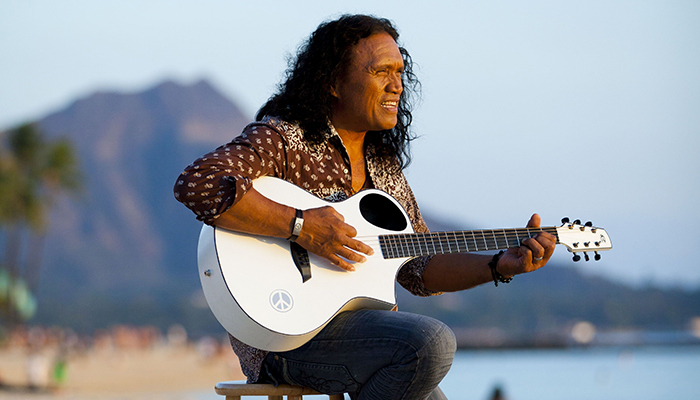 Henry Kapono is a performer who has it all –vocalist, guitarist, songwriter, composer, thrilling performer, audience favorite—and multiple honors and awards, including a Grammy nomination. His original songs with a rock vibe celebrate his love for his family, express his pride in his Hawaiian culture, and share his joy in his home in the Islands.